Gillian is a regulatory consultant specialising in the venture finance sector. She works with EIS fund and portfolio managers as well as capital raisers, promoters, researchers and crowdfunding platforms. Gillian is known for providing expert and pragmatic solutions to the industry. In addition to her experience working with many EISA members, she is an active advocate of EIS. Gillian chairs our regulatory committee and is a member of the EISA board. 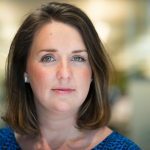 Beyond EIS, Gillian also advises social impact investment firms, private equity firms and FinTech companies such as peer to peer lenders. HOWARD FLIGHT MA (Cantab) MBA, FRSA was appointed to the House of Lords by UK Prime Minister, David Cameron, at the end of 2010. He was the Member of Parliament for Arundel and South Downs from 1997 to 2005, during which time he served as Shadow Chief Secretary to the Treasury, the support Shadow Minister to the Shadow Chancellor of the Exchequer. He led the Conservative Opposition during the Committee stages of 4 Finance Acts and the Financial Services and Markets Act. Now, in the House of Lords, he is part of the Conservative working Peersﾒ teams covering Europe, Treasury Affairs and Pensions and focuses on British Indian relations. 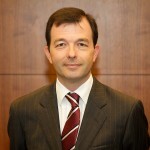 He is a member of the Lordsﾒ European Union Economic and Financial Affairs Committee. Howard has also worked for 40 years in the Financial Services industry, starting his career at Rothschilds as an Investment adviser. 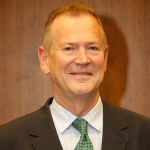 He was co-Founder and Joint Managing Director of Guinness Flight, formed in 1986 and acquired by Investec Asset Management in 1998, of which Howard remains a Director. 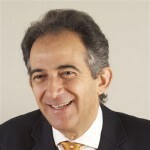 Currently, in addition to being Chairman of the EIS Association, Howard is Chairman of CIM Investment Management, Director of Investec Asset Management, Non-Executive Director of Metro Bank, the new UK retail bank; chairman of 4 Investment Funds and a Commissioner (Board Member) of the Guernsey Financial Services Commission. Howard read History Part I and Economics Part II at Cambridge and was subsequently the Power Scholar at the University of Michigan, Ann Arbor, where he obtained his MBA. He and Christabel have been married since 1973 and have 4 children. James's passion for early stage investing and UK SME started young, the son of an entrepreneur it was in his blood. Having consulted for some of the world’s largest and successful brands for 5 years, he decided to leave the safety of a large organisation to explore the many benefits and pitfalls of building and running SMEs. This is when he also started my personal investment career. Over the last 10 years James has experienced the highs and lows of business first hand and it is a knows it is tough thing building companies, as he has done it, not always successfully but he has always learned and grown. In 2014, James joined Syndicateroom, a group of 4 people who were starting a business in a nascent industry, with little backing and a mountain of trials and opportunities ahead. Now in his fourth year with SyndicateRoom, he has helped grow it to 30 people, 35,000 members and investments in over 135 companies. James manages three investment funds including the first and only passive fund for early stage investing, Fund Twenty8. John co-founded Calculus Capital with Susan McDonald in 1999, creating one of the UK’s most successful, independent private equity firms focused on investing in smaller, proven companies. John has over 30 years’ experience in private equity, corporate finance, and operational management. During that time, he has invested in, advised on or negotiated more than 100 transactions and served on publicly quoted and private corporate boards. Before co-founding Calculus Capital, John served as an Executive Director of European Corporate Finance for UBS for nine years where he advised on M&A, IPOs, restructurings and recapitalisations, strategic alliances and private equity. Prior to this, John was headhunted to be Head of the Mergers & Acquisitions Group of Philips and Drew, a 100 year old London based financial institution. 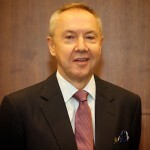 At the start of his career, John qualified as a Chartered Accountant with Peat Marwick (subsequently KPMG), where he then went on to be recruited as a founder member of Deloitte’s newly established consultancy practice in the Gulf Region and then Corporate Finance practice in London. John graduated from Oxford University with an MA (Hons) in Philosophy, Politics and Economics. Howard Kennedy is a leading law firm providing a full range of services to a well-established national and international client base. The firm acts for major corporate organisations, public and private companies, financial institutions and private individuals, and are known as a can do. Mark has over twenty years experience in Financial services and prior to becoming Director General of the EIS Association, he was Head of Research and Development at Mazars, a leading UK financial planning firm. Mark is highly qualified being a Certified Financial Planner, Chartered Financial Planner, Chartered Wealth Manager and Fellow of the Personal Finance Society and also sits on the Chartered Institute of Securities and Investments Accredited firms committee and TISA’s Distribution Policy Council. 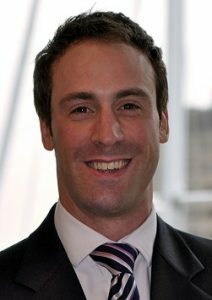 Mark’s involvement with EIS began 8 years ago and he has since championed EIS investing within a financial planning context and is extremely passionate about promoting the industry, increasing its effectiveness and ensuring the private sector continues to drive much needed funding to small companies. Enterprise investment Partners LLP is a specialist smallcap investment boutique established in 2010, whose activities include corporate finance, investment management and design and promotion of tax-efficient investment products, with major emphasis on the EIS. Enterprise has considerable experience of EIS and the tax-efficient industry, with particular expertise in the leisure, media, commercial property and renewable energy sectors. The principals together have raised over £500m under the EIS, VCT and other tax-efficient structures over the last 20 years. 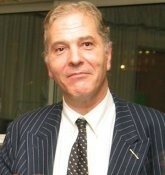 Martin Sherwood is a founding director of the EIS Association and sits on the board of a number of EIS companies. Philip Hare is a co founder of Philip Hare & Associates LLP, a tax consultancy business which specialises in the Enterprise Investment Scheme (EIS), Seed EIS, Venture Capital Trust (VCT) and Social Investment Tax Relief (SITR). He and his team advise small and medium sized companies and their investors in respect of the tax relief available for investment and the conditions that need to be met by the company and the investor. They are in regular contact with specialists at HMRC discussing solutions to technical and administrative issues that arise from the schemes. Philip is a Chartered Accountant and Chartered Tax Advisor. Whilst at PWC, EIS Association members voted his team the ‘EIS Tax Adviser of the year’ for eight years in a row and since setting up his own firm in 2015, Philip Hare & Associates LLP has won ‘SEIS/EIS Tax Adviser of the year’ for each of the last three years. Stephen is a highly relevantly qualified financial planner with over 27 years’ experience and operating from two offices in the Midlands (just opened a third in London) as well as being an active member of two professional institutes. Stephen was one of the earliest to pass the EISA/Tolley exam and one of less than 10 to have passed the ACT qualification and has a long track record of advising in Alternative Investments. In addition his former role as President of the largest affiliation of professional institutes in the UK, gave him responsibility for the development of a large group representing over 24 professional bodies and exposed him to many issues rarely experienced in running a small IFA firm.